Here’s another great video from John’s DIY Playground. He is showing how to get started with installing the prebuilt gateway image onto an SD card, and how to turn the RaspberryPi into a Moteino gateway via a MoteinoUSB (which is probably the easiest method). For some time I wondered if there’s a way to move the cool air in the basement upstairs and make that living space a bit more bearable without running the AC all day long when everyone is gone. As soon as the sun rises and starts hitting the roof in the morning, the attic temps start to blast up towards 150° at the peak around 6pm. The side walls and windows also heat up, act as heat radiators and contribute to warming the interior spaces. Once that attic space and side walls are super heated after a day-long sun blast it’s very hard to cool the interior back down, while heat radiates quickly inside and fights the HVAC’s cooling efforts. The attic 20″ blown insulation does a great job keeping the 2nd level way cooler than the attic, around 87°F, but still feels very toasty, and the decade old HVAC runs almost non stop from 4pm into 11pm to make it bearable enough to go to sleep. 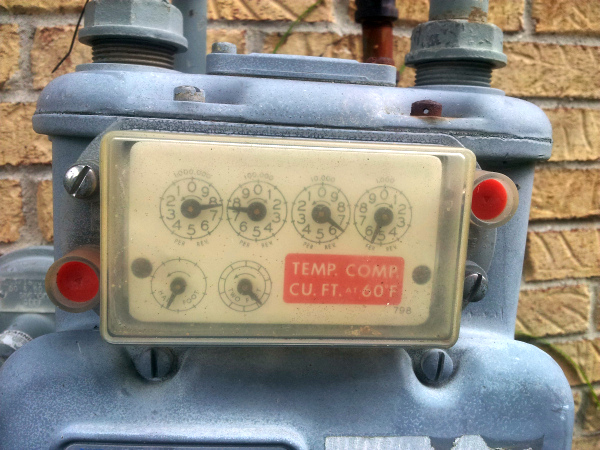 All this while the basement temps range from 65-75°F during the day, nice and cool. 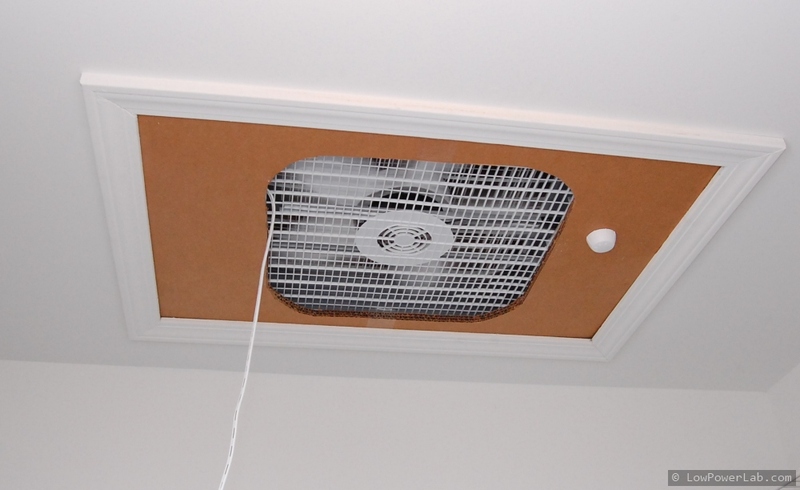 Googling around I found some solutions that involve using the HVAC fan to push air from the basement or lowest point in the house all the way upstairs and into the attic (opening the attic hatch). Attics have vents that allow air to flow through and out. So this air movement pushes cool air through the house and into the attic and then outside through those attic vents, thus keeping the attic air from super heating. The outcome is that the HVAC AC will have an easier time to cool down the home in the afternoons, running for less time while the temps bounce less throughout the cooling cycles. 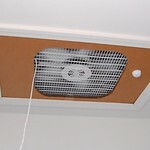 Unfortunately running the HVAC fan also requires a vent to be cut into the basement HVAC pipe system so the cooler air can be pulled by the fan and moved up, rather than the air from the return pipes (which brings it from upstairs). 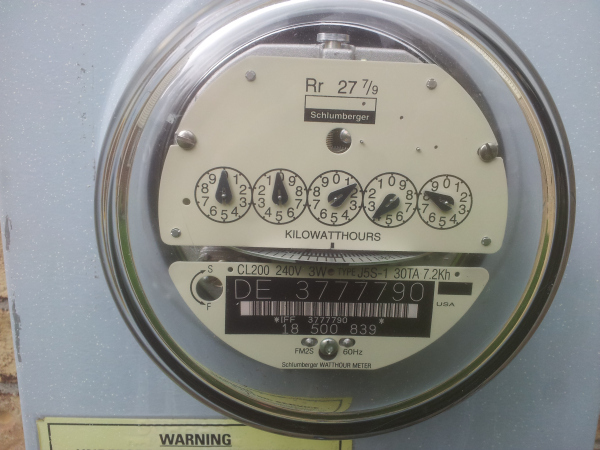 I don’t really want to do that, since the HVAC fan is a big heavy 220V inefficient motor. So I’ve just started playing around with some WeatherShields and a cheap Lasko box fan ($17 from HD) that I’ve installed on a thick cardboard cutout which replaces the attic hatch. 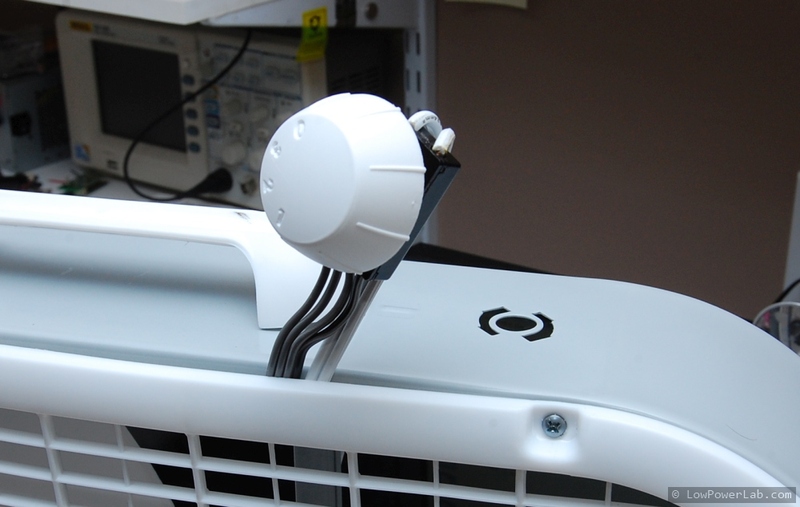 The fan is good enough for proof of concept and allows easy hacking of the speed knob displacement into the cardboard so I could change speeds from inside the home without climbing on a ladder all the time. For now the power is provided through an extension cable until tests are done, then I plan on making a SwitchMote controlled power outlet in the attic where the fan can plug in, so this could be turned ON/OFF automatically by the Gateway. I put together 2 WeatherShields for this test, and added a dedicated Weather node to the gateway. 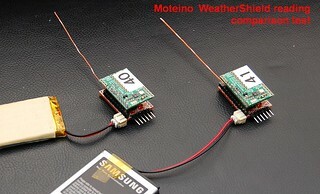 This was a good way to test WeatherShield readings side by side. Results are impressive, I could not see the temp and humidity readings be more than 1% off from each other. BTW I’ve added the new Weather node icon and node definition on the Gateway github repo, and I’ve posted the low power sketch I used on these weather nodes. Just looking at it it’s obvious the fan made a big dent. I ran it at max speed which is pretty loud but this is in a closet so that helps contain the fan noise. 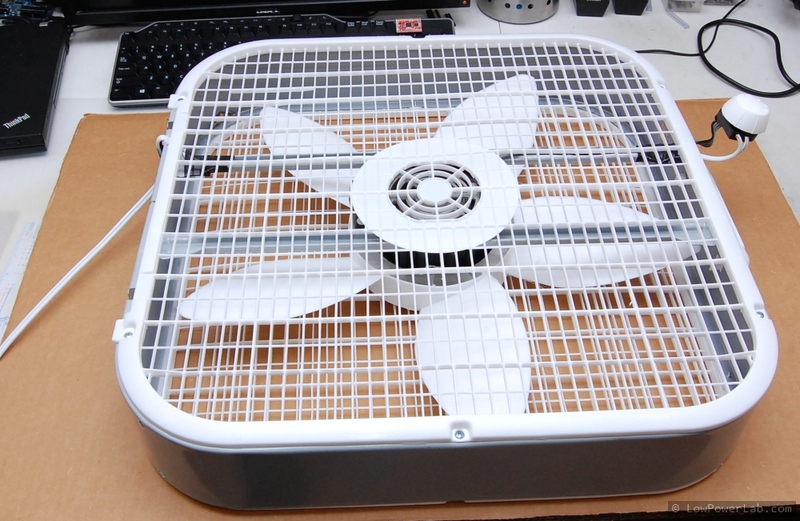 I’ve seen more expensive similar fans advertised as very quiet. The point here is to move as much air as possible since the fan would run during the day anyway, when nobody is upstairs to hear the fan noise. I’ve made some projections of what I think would happen if I ran the fan all day or if there was no fan at all. I will continue to make measurements on comparable days with and without the fan and perhaps update this post, but I think the test is a success. It was a sunny day with 85° tops. If the attic normally heats up to around 140-150° at peak and the 2nd level is around 90° it is very difficult to cool it back down and the AC works very hard. If the fan can reduce the attic temperature by even 20° I assume the AC would not need to work as long and hard to cool the upstairs in the afternoons. 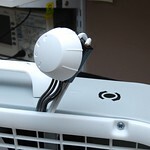 I think this simple fan will cost much less to run for 8-10 hours, than running the AC that much harder all afternoon. 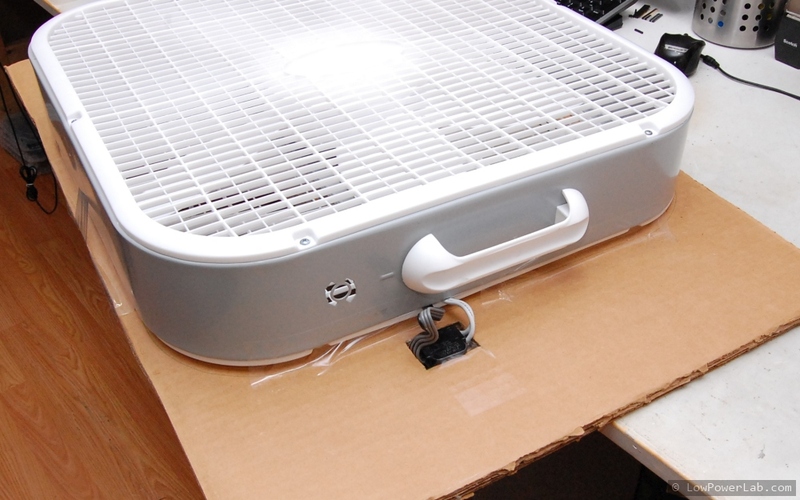 A possible improvement to this method is to install more fans in the attic, on top of the vent exhausts to help remove that hot air from the attic, more complex. 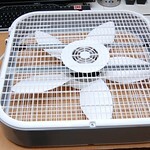 Or cut a hole in the basement door to add another fan to push air, messy and not wife-friendly. 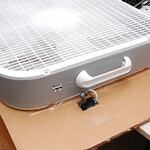 Or stack another fan on the existing one at the attic hatch to increase CFM, just another $17. To automate and remote control the fan I will need to make a SwitchMote outlet and put it in the attic. That’s for another post. Recently I decided it’s time to dedicate a more professional workspace for all my electronics work where would this go better than the most remote corner of the basement? Previously I organized my office in one of the home bedrooms but it quickly became obvious that it’s not the best place to keep heat and smoke generating equipment, mix chemicals, etch PCBs, or store parts small parts that get lost in the carpet. Plus I didn’t have outlets where I wanted them and it just didn’t feel right to solder on the office desk. So I took a break from most of my projects and dedicated almost entirely to planning and building a workspace in my unfinished basement. Long story short, I ended up with a 120sqft room perfect for my needs. I knew I will want to watch my own progress so I captured timelapse videos of the more significant parts of this building project. This happened over several weeks, and if people want details of my planning, building and costs, I can post about that as well. Cheers!